*Be sure to check below for all your assignments. Today we studied how line can be used to express emotion, depth, and various effects. We experimented with how there are many different types of line, and how lines can be used to create different patters, line, depth, value, and more. Assignment #1: Students are to begin by experimenting with different types of line that they can create from wavy, to dotted, to thick and thin, and much, much more. 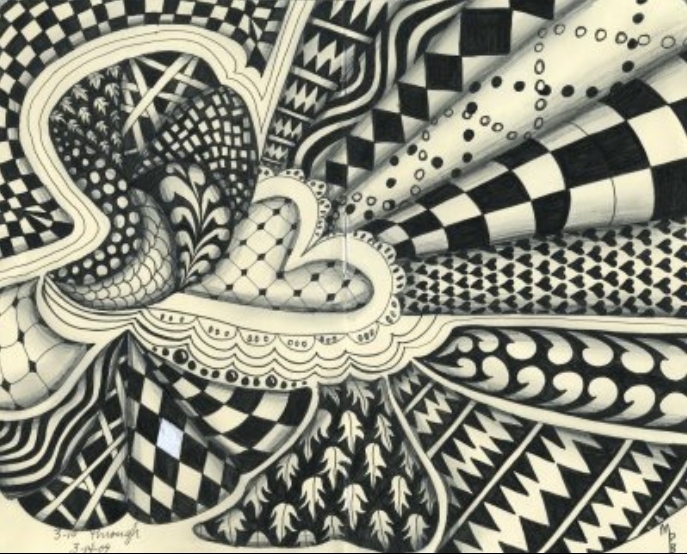 Once they have created a few line they are to repeat them in patterns that creates form and effect. 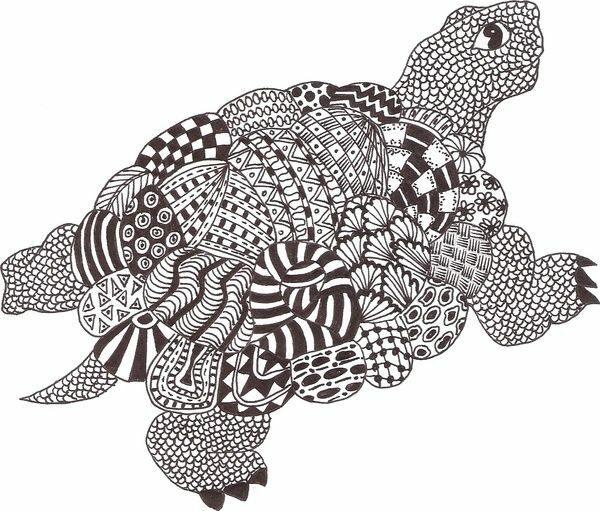 When a student has some initial ideas they are then to find a natural object (animals are highly suggested) to create a focused zentangle (or “zendala”). 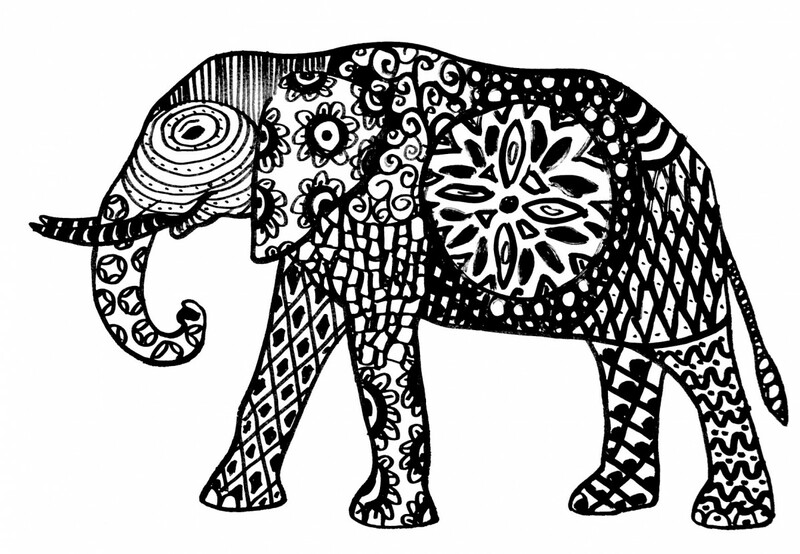 See the examples of a zentangle and animal zentangle below. This week we looked at the basic elements of art. Students were introduced to the concepts and discussed. They were to first complete an assignment sharing their understanding and then find a piece that they are able to discuss using the terminology of the elements of art. Students are asked to create a presentation of “The Elements of Art” To do this students may wish to create a gallery walk, a visual and verbal presentation, a powerpoint, a video, or any other medium that they feel would adequately represent the elements of art and teach them to the average person. 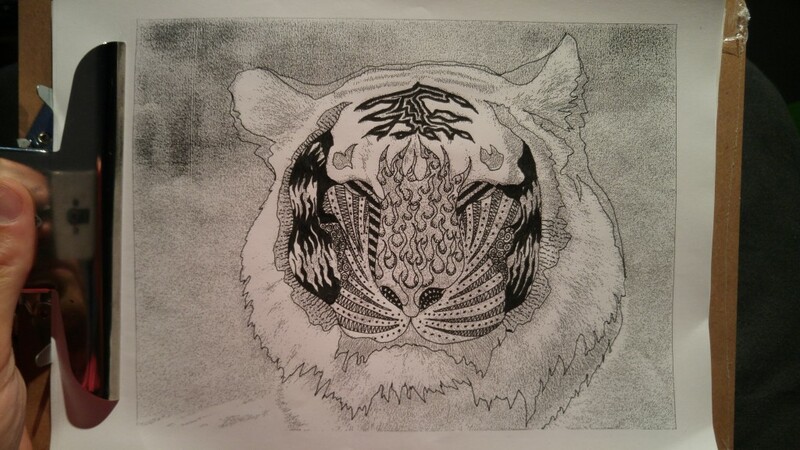 Students are highly encouraged to use personally created pieces of art to use in this project to represent the elements, however, they may wish to use “ready-made” works. If they choose to use non-personal pieces then they are expected to have an extensive project. Student may wish to use the materials below as a starting point for their research. Today we studied the basic rules of photography. There are many versions of these rules but some are very universal. Watch the video and presentation below to familiarize yourself with the rules. Students were provided with a handout to help them as well. See the link below for a copy. Check out these online resources for help in understanding the basic rules of photography. This week we are studying how to make 3-dimensional art. Check out some of the powerpoints explaining the processes below. Often visual arts include a third dimension within them, that is, the illusion of 3 dimensions imposed on a 2-dimensional surface. Today we will observe how value is imposed within Visual Art to create the illusion of third Dimension. Students are to experiment with pencil and charcoal to create different values. Assignment: Students are to create a value chart with 10 distinct values ranging from complete white to total black. Although this can be done quickly, it takes concentration, patience, and time to do a thorough job. Today we learned how to draw the proper proportions of the human face. Check out the link below first and then progress to the video. Follow the link below to some fun art games online.